Well, the above title says it all. You got behind on your taxes, the IRS is mad, and you need to fix it. While the IRS has been painted as the boogeyman since America started collecting taxes, it is a necessary evil and doesn’t have to be quite so scary. If you have overdue taxes, you already know that you can’t waste another minute. 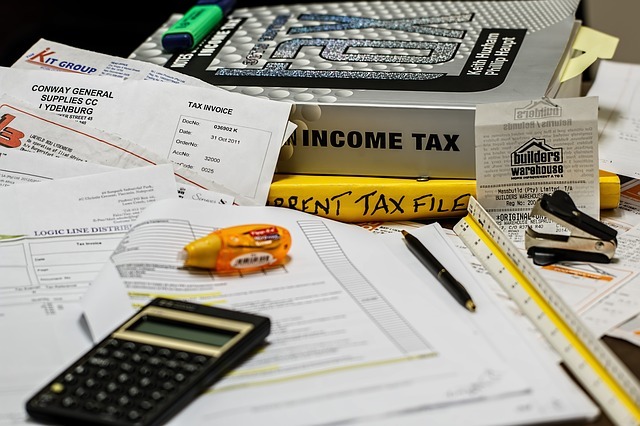 Here are some ways you can get caught up on your taxes (as well as what happens if you don’t). When it comes to the IRS, no news is not good news. If they haven’t contacted you about back taxes, that doesn’t mean that they’re unaware. The system is automated. It is likely that they have or are about to receive an alert about your unpaid taxes. Waiting for them to contact you also looks like you’re trying to avoid paying back taxes, and that is less than ideal when asking them for leniency. There are options for payment plans. The IRS knows, logically, that at some point, people are going to run into problems and won’t have their tax money ready. The IRS offers payment plans to eligible individuals. These are installment agreements, which means that you pay a set amount over a repeated period of time (like a mortgage, for example). A payment plan will work for you if you believe you can pay off your taxes within the time period. Note that there will be fees associated with the plan, and you might be required to pay by direct debit. The Fresh Start Program works well for small business owners and those who are self-employed. Installment agreements are part of the Fresh Start Program. If you owe up to $50,000 you can pay over a period of six years in the form of direct debits. This is called a “streamlined installment agreement.” Through this type of agreement, you can file to have your lien removed ahead of time if there is one. You can get the notice of the lien withdrawn if you show that you’re paying on time and according to plan. Offers in compromise are another part to this Fresh Start Program. Part of the program entailed giving the IRS more flexibility when looking at your current situation. With the offer in compromise, the IRS looks at your debts, what’s going on, why you can’t pay your taxes, and equity in your assets. They may be able to settle your debt with you at a lower price. The IRS will give you that offer when it is a reasonable amount that they expect to receive within an allotted time frame. This isn’t for everyone, so check to see if you are eligible. Of course, there are penalties for back taxes. That’s how they arrested Al Capone. He admitted to not paying income taxes, and a judge sentenced him to eleven years. He didn’t do any comparable time for his other crimes. That’s not to say that that’s what will happen to you. More likely, there will be a penalty fee. The fee is usually an additional five percent of the amount owed per month. If you don’t pay for sixty days past the due date, the minimum fee is $135 (or 100% of what you owe—whichever number is smaller). Jail time doesn’t happen unless it is in severe cases, which, if you take care of this now, this won’t be. Hopefully, this article has shown you that there are options when it comes to paying back your overdue taxes. It’s important to contact the IRS quickly to show that you’re aware that you owe taxes. They are likely more willing to work with you if they know you can start putting at least some payments down.